Gualo Rai, Saipan— DOCOMO PACIFIC announces the widest 4G LTE network is now live in Saipan, Tinian, and Rota. With the addition of 29 new cell sites throughout the CNMI, customers can now experience fast and consistent 4G LTE coverage across the islands with no additional roaming charges throughout Guam, Saipan, Tinian, and Rota. DOCOMO PACIFIC’s 4G LTE launch allows customers to instantly update their Facebook stream, zip through YouTube videos, effortlessly send pictures through WhatsApp, or stream the latest movies on Netflix. As we continue to expand our coverage throughout the Marianas, DOCOMO PACIFIC is committed to connecting customers where they live, work, and play. With 4G LTE, DOCOMO PACIFIC customers can now experience the full capability of the latest applications on the island’s largest selection of mobile devices and accessories available at any of DOCOMO PACIFIC’s store locations. DOCOMO PACIFIC officially announced its 4G LTE network at the reopening of its Gualo Rai store on July 3rd. Boasting an expanded footprint with nearly 2,000 square feet of retail space, DOCOMO PACIFIC’s new store features more interactive displays, a prepaid card vending machine, a rapid charging station, and much more. DOCOMO PACIFIC customers can enjoy our Top 10 display which offers a hands-on experience with the industry’s most advanced mobile devices, more customer service bays, and a Red Room which features everything you need to connect your home, with interactive displays for TV, online, and mobile services. 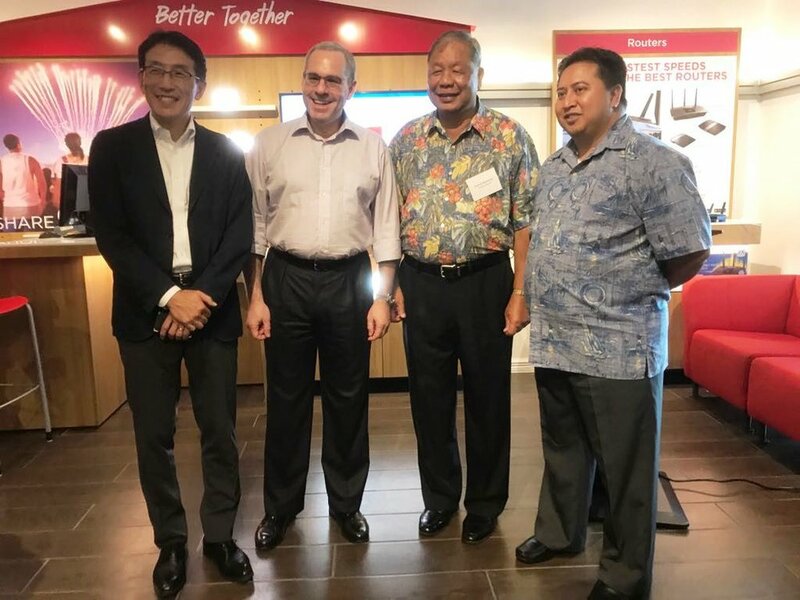 Beginning in August, DOCOMO PACIFIC’s world-class services in television, mobile, online, and home telephone will be available across the Marianas. DOCOMO PACIFIC customers will experience the Marianas’ first triple-digit online speeds up to 100 Mbps, watch high-definition (HD) channels, and enjoy TiVo— an all new, award-winning television entertainment system. Later this year, DOCOMO PACIFIC will also open stores on Tinian and Rota to better serve our customers in the Marianas. The launch of our 4G LTE network offers choice across the Marianas more than ever before. No longer will the people of Saipan, Tinian, and Rota feel isolated or behind when it comes to connecting to family, friends, and the rest of the world.